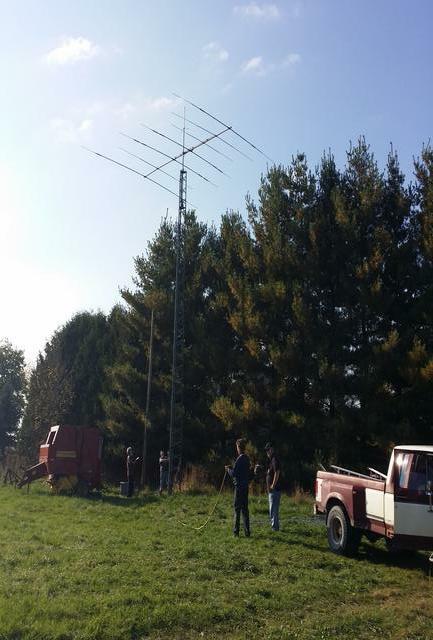 Over the month of September - 2014 several members of the club worked together to help deploy Gerasimos' VE3SPY's antenna and tilt-over tower. 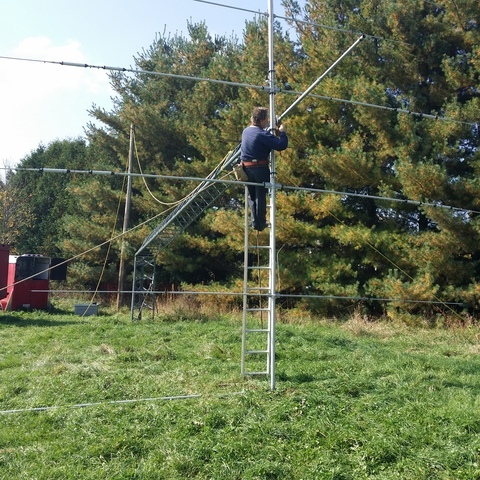 Finally on October 1st, 2014 we erected the tower with antenna installed.Many thanks to Pierre - VE3FLO, Ray - VE3BVV, Art - VE3CGD, Bob - VE3WSY, Kolya - VE3KDP, Rick - VE3URL, Ajmal - VE2ZQ, Mike - VE3UIL and of course Gerasimos - VE3SPY. 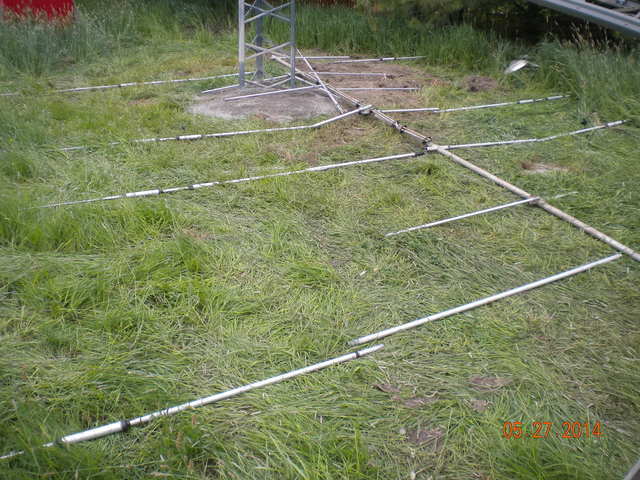 This is the antenna as originally found. ran up the ladder and clamped it to the tower. 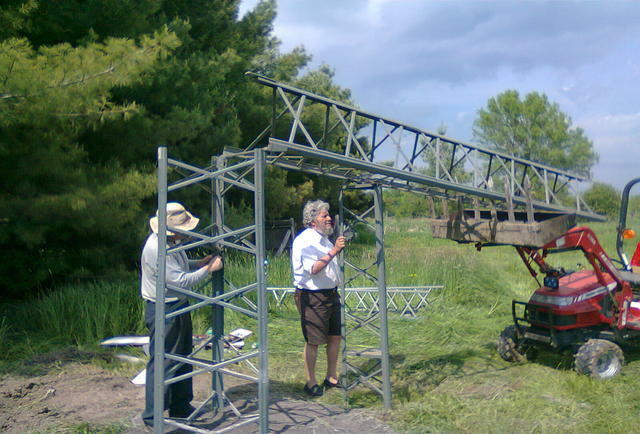 managed to hoist the tower into a vertical position.